You have all good intentions to get up and then wham! Period pain. Or other period dramas. Should you really let these affect you? Everyone is different but there are some really important things you should be aware of when training around your ‘cycle’. How Does Your Cycle Affect Training? Follicular phase – Days 1 to about Day 14. Bleeding is usually completed by about Day 7. Ovulation will usually occur around Day 14. Of course this varies slightly for each woman. Luteal phase – Days 14-28 (or perhaps slightly longer for some women). It’s towards the end of this phase that many women experience ‘pre-menstrual symptoms’ including cramping. During the luteal phase oestrogen is at its highest, triggering changes that may hinder training your ability to train hard. For example, low blood sugar during the luteal phase may result in decreased lactate thresholds, which basically means that your body will feel like it’s working harder than usual. While lactate threshold variations depend more on training status than anything, this is still a huge training consideration. Thermoregulation (the process that allows the human body to maintain its core internal temperature) changes during the luteal phase. This is at least partly the result of a reduction in plasma volume. Plasma is the bulk of your blood, or your blood fluid, and is primarily what allows us to sweat. When plasma volume decreases (on average eight per cent), sweating is slower to begin and body temperature therefore rises on average 0.3 to 0.5 degrees Celsius. Lower plasma volume leads to thicker blood and slower blood flow between muscles. This is not great for performance or recovery time! You need to be more aware of heat stress and make appropriate adjustments in hydration in hot and humid conditions, or if the exercise session is particularly long. The follicular phase tends to be more of an ‘anabolic’ time, which means you are more likely to build rather than lose muscle. This may a good time to pick up on the cardio because you have less risk of losing excessive amounts of muscle. The luteal phase is more of a ‘catabolic’ time where you are burning more energy and could be at risk of burning muscle if you are training hard and your fuel intake is inadequate. This could be a great time to focus on muscle building or maintenance techniques. Remember that muscle is key to a lean body that is burning energy all day long, not just during training! Some women may like to increase their protein intake during this time to help ease satiety and promote muscle building rather than breakdown. However I recommend discussing this with an Accredited Practising Dietitian. 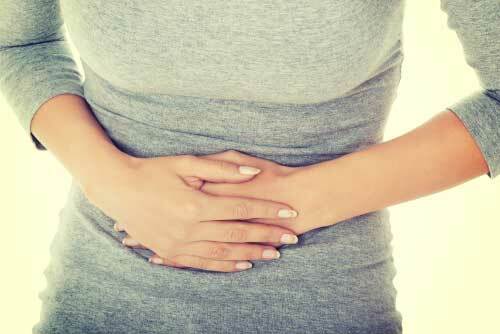 The luteal phase is when you often will feel more hungry! This is an easy time to get caught out bingeing on fatty, unhealthy foods. Be prepared with nutritious foods that fill you with the right sustenance. There tends to be an increase in EPOC in the luteal phase. EPOC stands for ‘excessive post exercise oxygen consumption’. This means that you are continuing to burn lots of energy after your training session. To make the most of this you may like to incorporate HIIT training! HIIT stands for high intensity interval training, where you train hard for short periods and then rest or do some active recovery after each effort. It should be noted that if you have high insulin levels you may not see the training benefits from menstrual phase training because unhealthy hormone levels affect results. The cycle effects will vary for each women. I encourage monitoring of your physical and emotional changes that occur in your cycle and then learn what works for you. It’s OK to have a lighter session from time-to-time, e.g. within the first three days of menstruation. If you feel like crap, and I mean genuinely, then skip a harder session and replace it with a walk. For those of you training quite intensely and have noticed a ‘lightening’ in your period, take note. It’s important to make sure that this doesn’t turn into ‘exercise induced secondary amenorrhoea’ where your menstrual cycle stops because of excessive amounts of exercise and inadequate fuel intake. While this can be a short term affair and easily reversible by training less and eating more, the consequences on your fertility and other aspects of your health can be far worse to consider. You also need to check out with your doctor all the other potential reasons that may cause you period dramas. your training volume is high and you are not sure if your food intake is adequate.